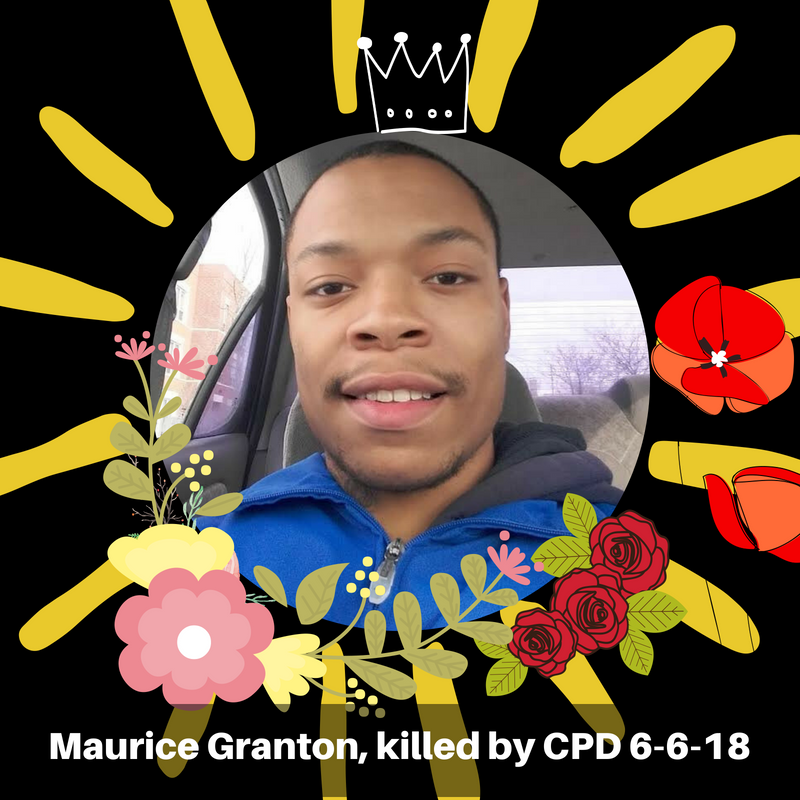 On June 6, 2018, the Chicago Police Department shot and killed 24 year old, Maurice Granton in the back as he was trying to run away. CPD then tasered a young girl who was attempting to give Maurice CPR. At the hospital CPD prevented Maurice’s family and loved ones from seeing him. Maurice’s family learned of his passing from the media. No one from the City reached out to them. The reports of CPD “reform” and improvements are lies to stomp out the outrage that emerged when Rekia was murdered, when RonnieMan was murdered, when Laquan was murdered, when Bettie and Quintonio were murdered, when any of our people are murdered by the Chicago Police Department, or any police department nationwide. There have been no substantive changes, just theater and smoke & mirror attempts to quiet dissent. We will not be quiet. We will not stop fighting. We demand justice for Maurice. We demand justice for 10 year old Michael Thomas Jr. who was handcuffed by CPD. We demand justice for all taken, beaten and tortured by the Chicago Police Department. We demand names and we demand charges. We will not stop organizing for power for our people against the police who are granted impunity when they murder and who operate as domestic occupying armies in our communities. Maurice’s family is now preparing to lay him to rest and need help with funeral expenses. Please donate if you can HERE. In the coming days, expect to hear more about how you can support Maurice’s family and join in demanding justice. Come out to support Maurice, his children and his community.